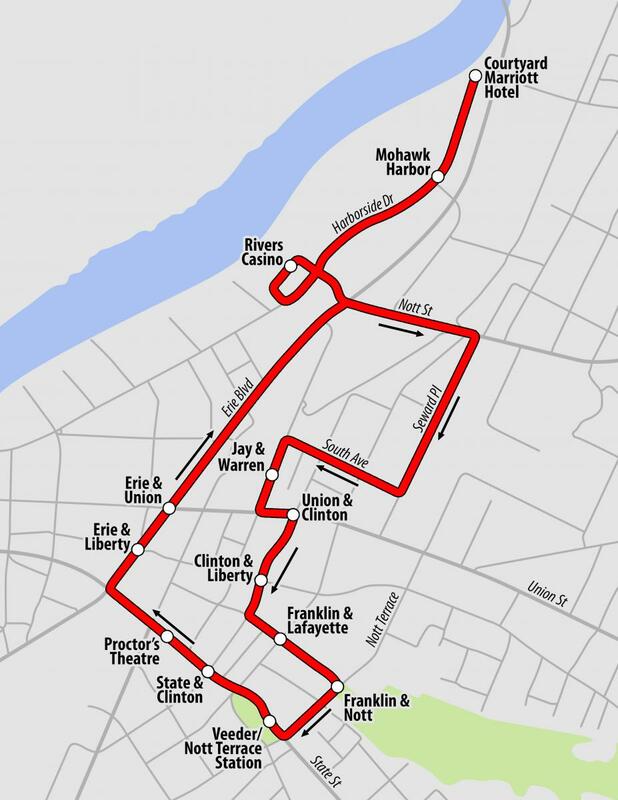 The trolley operates on Thursday, Friday, and Saturday nights. 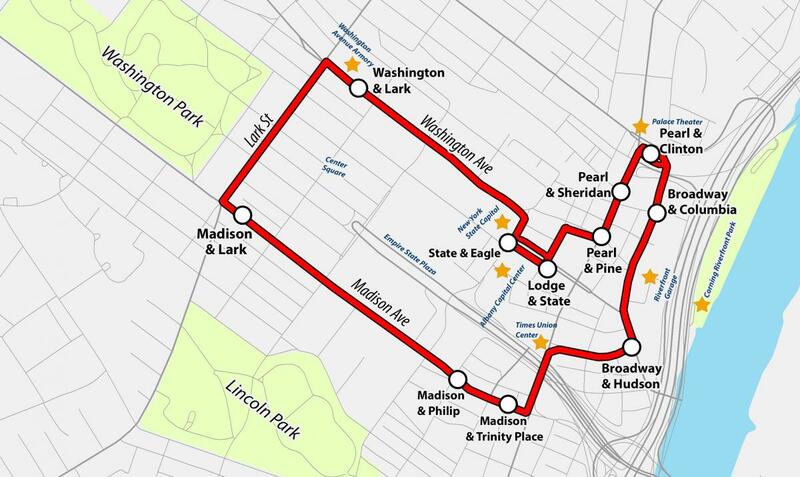 Service will begin at 5:00 p.m. and conclude at 12:30 a.m. with a trolley coming every 20 minutes. Download the Cityfinder App for stop locations and arrival times at your fingertips. The seasonal program operates on Thursday, Friday, and Saturday nights. Service will begin at 4:00 p.m. and conclude at 1:00 a.m. with a shuttle coming every 20 minutes. Download the Cityfinder App for stop locations and arrival times at your fingertips. Service will resume in Spring of 2019. 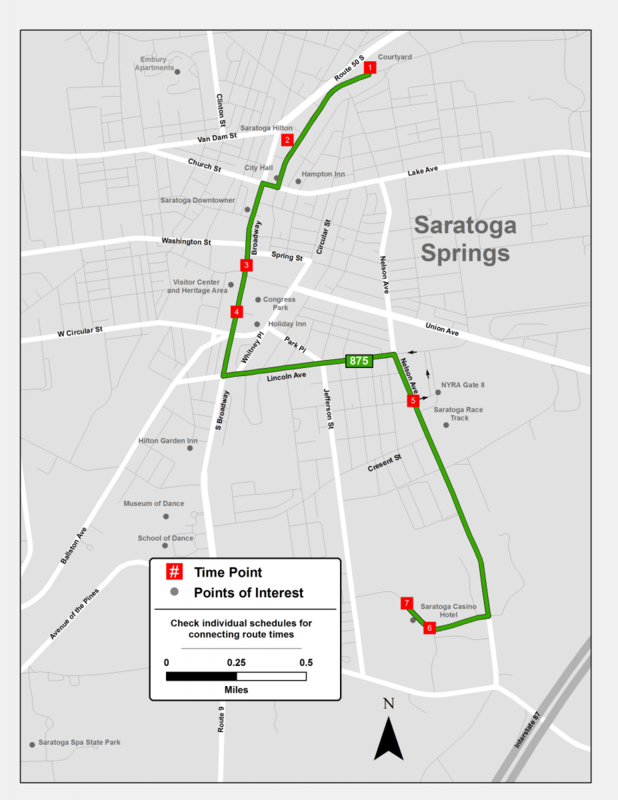 The Saratoga Springs Summer Trolley Complimentary Service runs from July 1st - September 3rd. Service will resume in Summer of 2019. Grafton Lakes State Park Via Hoosick St (Route 7) Operates Wednesday to Sunday each week, including holidays. Service ended on September 3rd and service will resume in Summer of 2019.